This extraordinary exhibition on diagnostic imaging, promoted by Bracco Group, comes from the union between art and science. 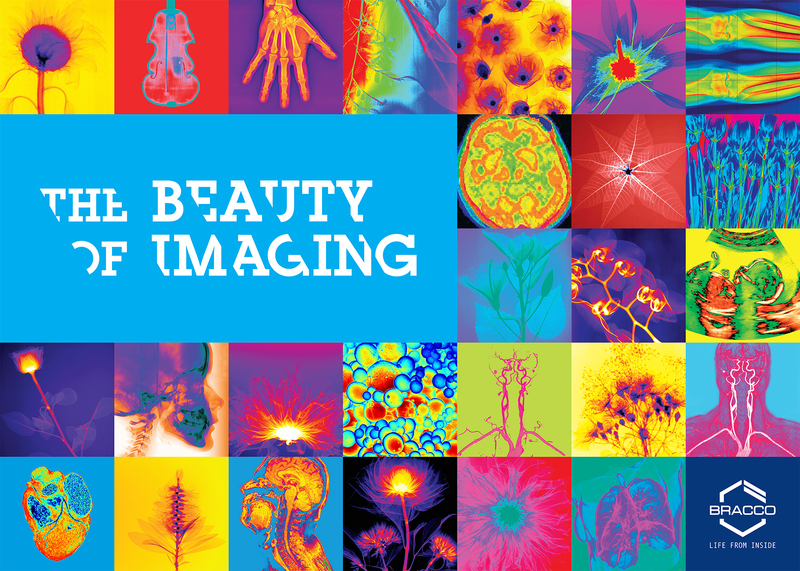 The Beauty of Imaging celebrates inner beauty of the human body. This exploration is possible thanks to diagnostic imaging: one of the ten most important discoveries in the entire history of medicine. A set of techniques that combines physics, biology, chemistry, pharmacology and medicine to save lives. Today the journey in the body is accomplished hundreds of thousands of times a day, in every part of the world, in order to prevent and cure. And so, “traveling” within the human body, we discover the extraordinary complexity of the mechanisms that regulate it, the fascinating perfection of the structures that govern it and the general harmony of its functioning. Large anthropomorphic structures stand out in the exhibition space and clarify who is the true protagonist of the narration: the human being. The exhibition traces the history of diagnostic imaging through its fundamental stages, enriched by a series of curious notes. A historical account that underlines how modern diagnostics is the result of an extraordinary global exchange of “knowledge” even in periods of socio-political tension. The visitor can immerse himself in the four diagnostic technologies. The large screens allow us to explore, with a simplified and informative cut, the physics, chemistry, biology, applications and implications of X-Rays / CT, Magnetic Resonance, Ultrasound, Nuclear Medicine. Moreover the future of imaging that combines traditional techniques with big data and artificial intelligence is exploited. Another central theme is that of “big data” which in the diagnostic imaging images tell the social impact of “imaging” on the life of the entire planet. From the heart of “imaging” and related technologies, such as contrast media, with the presentation of all technological supports to illustrate the importance and the role of research in contrast media between present and future, goes to “See the Invisible”: a narration through images, with music and narrating voice, combined with a holographic effect, which tells how the journey in the human body is above all a great journey of culture and knowledge.